What’s the one-stop solution to get everything? Be it shopping, entertainment, healthcare advice, education, information consumption, or communication. Any guess? Yes, it’s none other than the device that can fit right in the palm of your hand, the mobile phones. Not new, it’s the buzzword of present and certainly, of the future. If you nodded your head affirmatively, it indicates you have understood and accepted the strength that this piece of the digital device carries. It helps the customers to do what they want, anytime, anywhere. This key feature plays a vital role in the business success to increase the efficiency, sales, and the bottom-line. This is why all the businesses are joining the mobile app rat race. But, it’s not true in every case. The exceptions exist. Unfortunately, many small businesses are yet immune to the mobile app development with the thinking pattern- mobile is reserved for the large corporations and enterprises, and it doesn’t make any sense for them. The blunder never allows them to even stand in the competition, which results in gradual declining and then failure. It’s excruciating for the beginners. According to research, the Number of mobile phone search users in the United States will grow to 221 million by 2020 from 133.6 million in 2014. Google announced that the mobile search has crossed the tipping point where the high search traffic is coming from mobile devices as opposed to desktop computers in the 10 countries including the USA and Japan. 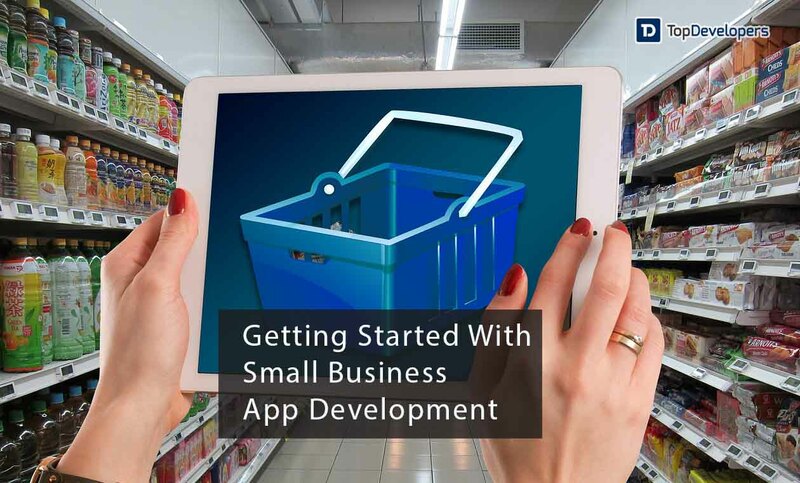 It’s apparent that growing diversity, functionality and popularity has made the mobile app a great small business solution that makes business offerings easily accessible and usable for the customers. With the increasing penetration of the mobiles in the lives of people, the business can avail the opportunity to extend their reach to the customers and enhance the visibility of their offerings. With mobile apps, the customers can have access to the business offerings on-the-go. In addition to the showcasing of the products or services online, the businesses can use it as an important tool to announce the new arrivals, upcoming sales or exclusive discounts on the purchase, which will engage the visitors and bring them back. Plus, the push notifications can be sent in regards to sales, discount or coupons to never let the customers look after the competition. Complementing the messages with the touch of personalization please the customers and make them feel valued. Emphasizing the latter will glue the customers to your business product. The customers only buy the products or services from your business when they are interested in, but when they have a need of you and your business is unreachable; it costs you a potential business customer. The mobile customers show less inclination towards sending an email or calling the customer support when they have a query. Your mobile app can be the next help desk for the customers to assist them 24/7. It’s a handy solution to easily communicate with the customers and answer their questions promptly, which will delight the users. The out-of-box mobile service not just closes the complaints convincingly, but also makes the customers realize that the business supports and treats the customers post-sales and pre-sales impartially. The key factor stands the business out from the crowd with higher levels of engagement and improves the positive word-of-mouth on various channels. Communication is crucial for success, so don’t discourage the customers. Congrats! With the mobile app, you are acquiring a good number of the customers and staying connected with them for the good results. It cannot be enough for the customers to come back. The relationship with the customers needs to be nurtured to retain the customers and remind them of your business. Also, it’s essential to make them feel appreciated in order to boost engagement and fuel up the revenue. Rewarding the patronage they have continued with the business is the best option to it where mobile app helps a ton. Under loyalty programs, the customers show reluctance to use the loyalty cards or the paper coupons to get rewarded. The virtual mobile loyalty card is a smarter solution using which the privilege customers can be rewarded through varied types of loyalty programs in an automated fashion, thereby reducing the carbon footprint and the resources involved in taking care of the loyalty programs. Besides, a survey can be conducted to identify the customers’ response to the loyalty rewards and tailor the next program according to their preferences. Without having a digital presence, no one can recognize your business and the services that business offer. As people pay less heed to the traditional billboards, TV ads, and the newspaper advertisements it is difficult to bring the business offers in the limelight. Plus, with traditional methods, there is no interaction involved between the message the business wants to convey and the customers. The mobile app is the best alternative to make the customers notice your brand and talk about it as it’s the device that stays closest to the customer’s heart. The rule of thumb states that customers notice the brand when they see it 20 times a day and mobile is seen by the people nearly a hundred times every day, this clearly signals that creating an app is the brilliant solution to improve the brand recognition. Additionally, the social sharing options and referrals are other ways to improve brand recognition through multiple channels. Matching the marketing plan according to the mobile shift has become a necessity to increase business exposure, to draw more users’ attention to the app and to market the offers successfully. Social media is a powerful tool to market the services, but the customers usually won’t look the social channels to make the purchase and also the competition is steep, so it’s better if you catch up the target customers on mobile. No doubt, the email marketing is an old standby that still works, but the rate of email opening and click on the links is far less in comparison to mobile push notifications. From a marketer’s point of view, the top priority is the message to get read and convert the target customer base. The mobile app makes it easy to gather the customer data, which can be used to send personalized messages to the customers based on the demographics, geographic location, interest and purchase history that meet the customer’s real needs. The brick-and-mortar stores can also geo-target the customers or the passers-by, and make them step inside the store with tailored notifications. The rare combination of scarcity and exclusivity helps in connecting with the customers instantly and to make them buy impulsively. Thinking mobile is not a ball game of anyone, never allow the businesses to innovate and step in with the latest trends because mobile technology breaking the conventions and has gone beyond the norms. Certainly, there is a lot of chaos in the market with billions of apps, but the walking sandwich boards or Google ads cannot stand by the mobile app in the competition. Mobile app is not a sign of the novelty of the year 2000, but it’s a ‘sine qua non’ that drives the business to success road with unmatched growth, performance, and competitive edge. Lift up your ROI with mobile because, your competitors have already adapted to the shift. Don’t hang fire! Be the first to stand in the position first. A professionally engaged blogger, an entertainer, dancer, tech critic, movie buff and a quick learner with an impressive personality! 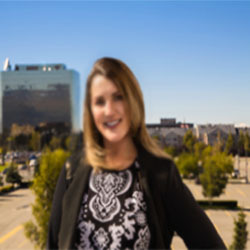 I work as a senior process specialist at Topdevelopers.co as I can readily solve business problems by analyzing the overall process. I’m also good at building a better rapport with people!